The general contours of the neo-liberal conception of the state are now quite well known. Positing a dichotomy between states and markets, neo-liberals seek to subject the former to the latter, believing markets to be the repository of individual freedom and the state to be the primary agent of coercion in modern society. For many neo-liberals, this project seeks to construct a ‘minimal state’, limiting its functions to the provision of services that cannot adequately be provided through the market. While neo-liberals contend that rolling back the frontiers of the state is key to maximizing individual freedom, critics have often pointed out that the implementation of neo-liberalism and the construction of the minimal state has assumed a coercive form in practice. Indeed, the degree to which the neo-liberal state assumes a ‘minimal’ role has been contested by many critics on the left, claiming instead that neo-liberalism represents a class based project of reconstituting capital in ways that undermine democracy and extends the coercive capacities of the capitalist state vis-à-vis trade unions and social movements. What needs to be emphasized, however, is the extent to which the anti-democratic tendencies of the neo-liberal state are not merely a contingent result of addressing the ‘contradictions of capitalism’; rather, the anti-democratic tendencies of the neo-liberal state are intrinsic to the neo-liberal conception of ‘liberty’ itself which become increasingly explicit in times of economic crisis. Democracy may disarm a given oligarchy, a given privileged individual or set of individuals, but it can still crush individuals as mercilessly as any previous ruler. Equality of the right to oppress—or interfere—is not equivalent to liberty. Nor does universal consent to loss of liberty somehow miraculously preserve it merely by being universal, or by being consent. Liberty and democracy are therefore analytically distinct, and the former is perfectly compatible with non-democratic forms of political order. Reminiscent of Hobbes’ claim that the citizen of the republic of Lucca is no freer than the subject of Constantinople, Berlin believes that mechanisms can be developed that protect the private sphere of individual freedom both in the absence of democracy as well as against democracy. Despite the significance of Berlin’s notion of negative liberty, it is the work of Hayek that has proven to be more influential to proponents of the neo-liberal order. In The Constitution of Liberty, published two years after Berlin’s essay, Hayek presents the conceptual outline for what he refers to as the Rechsstaat—or ‘rights state’—in contrast to the Sozialstaat—or ‘social state’. At a philosophical level, the difference between these two conceptions of the state resides in the ends towards which they are oriented. While the Sozialstaat is oriented to the pursuit of some form of social justice, implying the institutionalization of redistributive measures geared towards the attainment and maintenance of some degree of equality, the Rechsstaat is oriented merely towards the preservation of individual liberty through the rule of law. In this sense, the Rechsstaat has no ‘end’—it is merely a means to the pursuit of freely chosen individual ends. Hayek’s intention here is to make the case that the Rechsstaat by establishing and preserving an institutional framework of rights through which individuals can freely pursue their interests without state interference, is the only form of state that is compatible with the rule of law. In contrast to this, the Sozialstaat, given its orientation towards social justice, is both intrinsically bureaucratic and arbitrary, due to the fact that social justice—as opposed to procedural justice—lacks any objective criteria by which it can be assessed. Given the intrinsically subjective nature of social justice, state bureaucrats must rely on the administrative powers of individual discretion, which are arbitrary by nature. It is this arbitrariness that makes the Sozialstaat incompatible with the rule of law. For Hayek, the issue of democracy comes into play insofar as it relates to the preservation of the Rechsstaat. Democracy is thus an instrumental good that is valued only insofar as it does not conflict with the preservation of the constitutional Rechsstaat and the conceptions of negative liberty that underpins such a state. If democracy conflicts with ‘liberty’, then democracy should be discarded. In this sense, Hayek is just as unequivocal as Berlin is in his preference for liberalism over and against democracy. But for Hayek, the concept of liberty begins to diverge from Berlin’s preference for pluralism, resulting in a much stronger acceptance of non-democratic and authoritarian political arrangements. Indeed, the neo-liberal preference is for the suppression of pluralism as a model for aggregating interests and demands in the political system. From the neo-liberal perspective, pluralism legitimizes the development of ‘entitlements’, whereby interest groups turn to the state for the provision of goods, ‘distorting’ the functioning of the ‘free market’ in the process. This critique of pluralism formed the basis of the ‘overloaded government’ thesis to explain the political turmoil of the late 1960s and early 1970s. The threat to liberty posed by pluralism, according to the neo-liberal argument, resides in shifting the burden of expenditure onto groups that are not part of the pluralist process. Taxation for the financing of public services not consented to, is considered a form of coercive state intervention that inhibits individual liberty. In this sense, authoritarian regimes that preserve a clearly defined sphere of ‘individual liberty’—defined largely in terms of the freedom to dispose of one’s property as they see fit—are preferable to democracies that facilitate popular involvement in the process of policy making, thereby distorting the market and providing economic ‘instability’ for capital. Hayek’s support for the authoritarian neo-liberal regime of Augusto Pinochet in Chile is indicative of this position. Thus, while the notion of safeguarding individual liberty from the so-called ‘tyranny of the majority’ has its obvious appeal, in the hands of contemporary neo-liberals, individual liberty has increasingly become identified with the social relations of the capitalist order. As von Mises, influential Austrian economist and founding member of the Mont Pelerin Society succinctly put it: ‘The programme of liberalism, if condensed into a single word, would have to read: property, that is, private ownership of the means of production. All the other demands of liberalism result from this fundamental demand.’ To the extent that this is the case, neo-liberalism increasingly reveals its contempt for democracy and its fetish for policy making by co-called economic ‘experts’. For neo-liberals, the Rechsstaat has become identified with the establishment of not merely a constitutional state, but one in which the sphere of democratic decision making is increasingly relegated to a clearly and narrowly defined ‘public’ sphere that precludes the ability to debate and define economic policy. This is the rationale behind James Buchanan’s formulation of ‘fiscal constitutionalism’. The idea here is to strengthen the constitutional safeguards against the ‘arbitrary’ power of the state by divesting governments of the authority for formulating fiscal policy. This represents a provocative circumscription of democracy insofar as the levers of fiscal policy can be employed to fund programmes oriented towards social justice and accord with the prescriptions of social rights of citizenship. The presumption here is that economic matters are merely ‘private’ issues resulting from freely chosen individual actions that must be defended if ‘liberty’ is to be preserved. Pluralism and corporatism are both equally cast as threats to individual freedom. The old ‘tyranny of the majority’ has been transformed by neo-liberal thinkers into ‘special interests’ working against the ‘silent majority’. The possibility that market relations may themselves constitute relations of power is either never entertained or is categorically rejected. The libertarian side of neo-liberalism, typified by theorists like Nozick and Narveson, is most adamant about the axiomatic inability of capitalism to be coercive. Capitalism, predicated upon the juridical freedom of the worker, is thus characterized by substantively free processes of exchange. No coercion is necessary or indeed possible within a capitalist order. Coercion is the preserve of the state, and as an intrinsically coercive institution it needs to be minimized accordingly. To the degree that neo-liberalism could equate market freedoms with individual freedom neo-liberals could successfully play the populist card against what they perceived to be the established political ‘elite’. Indeed, the success of neo-liberal and neo-conservative parties throughout the 1990s resulted from the success that neo-liberal thinkers had in establishing a link between taxes, welfare state ‘elites’ and the diminution of individual freedom. The extent to which neo-liberalism has been able to tap in to the understandable desire for individual autonomy from arbitrary political power, it has been able to present itself as a populist political project. Indeed, the electoral success of political parties promoting neo-liberal economic policies (often allied to socially conservative politics) can largely be attributed to popular dissatisfaction with the bureaucratization of the welfare state. However, this populist tendency of neo-liberalism exists in tension with a technocratic desire to shield important aspects of decision making from democratic influences in order to preserve the economic freedom of capital. As David Harvey has argued, neoliberals ‘tend to favour governance by experts and elites’, display a preference for ‘government by executive order and by judicial decision rather than democratic and parliamentary decision-making’, and seek to ‘insulate key institutions, such as the central bank, from democratic pressures.’ Indeed, this neo-liberal suspicion of democracy is not a new component of liberalism; rather, it is as old as liberalism itself and bears striking resemblance to the more undemocratic aspects of the liberalism of John Stuart Mill, who sought to maximize individual liberty while circumscribing the power of legislatures by limiting their role to the enactment of laws formulated by unelected constitutional commissions. The elitist tendencies inherent in neo-liberalism have been exacerbated by the increasing disconnect between the working population and the economic elites that exercise disproportionate influence over the neo-liberal order. Indeed, the financial crisis—and the way the politics of crisis are playing out—has increasingly exposed to contradictions between the populist rhetoric of neo-liberal ideology and the technocratic realities of neo-liberal policies. In general, it seems to be resulting in what Wolfgang Streeck has recently called a ‘crisis of democratic capitalism.’ This overt drift into anti-democratic technocracy is most explicit in the ascription of ‘rational irrationalism’ to the democratic electorate of contemporary liberal democracies (with a noted American bias) by libertarian economist Bryan Caplan in The Myth of the Rational Voter. Caplan argues that, contrary to traditional rational choice theory, voters are not necessarily rational because they display a tendency to vote for ‘protectionist’ or ‘anti-free market’ (read: non-neoliberal) politicians and policies. The irrationality of this preference resides in the ‘fact’ (according to the author) that protectionist policies, while perhaps according with the short-term interests of voters, contradict their long-term interests in aggregate economic growth (an ideological and faith-based claim if ever there was one) and the strictures of laissez-faire economic doctrine. Voters, therefore, are characterized by ‘rational irrationality’, the outcomes of which are bad economic policies. Indeed, the subtitle of the book is ‘Why Democracies Choose Bad Policies.’ The solution to this problem, therefore, is more technocracy at the expense of democracy. Politicians need to be disempowered from formulating economic policies; rather, economic policy-making should be given over to neo-liberal economic technocrats (like the author). We have come full circle back to Mill’s ‘representative’ government. The notion that capitalism is not working in the interests of everyone is never entertained by Caplan. Furthermore, Caplan is so entranced by his own market fetishism that it never occurs to him that anyone would rationally oppose the expansion of capitalist social relations and the processes of commodification and dispossession that it entails. But Caplan’s contempt for democracy, so vividly depicted by the herd of sheep on the book’s cover, is not idiosyncratic to his particular contribution to neo-liberal ideology, nor is it a contingent element of neo-liberalism; rather, it is an intrinsic element of neo-liberal ideology that has become increasingly explicit as popular support for neo-liberalism declines in the face of its obvious failures. This drift into anti-democratic elitism and economic authoritarianism by the intellectual proponents of neo-liberalism has been exacerbated by the increasing tensions between democracy and the capitalist order that have been exposed by the financial crisis of 2008-09 and the subsequent era of austerity that it has issued forth. Put quite simply, the choice facing neo-liberals now is that of liberalism (meaning the capitalist economic order) or democracy; and the choice is no longer merely an academic one but one of political action and policy. Now that it has become apparent that the real elites are those ensconced in Wall Street and the various financial institutions of contemporary capitalism, as opposed to the supposed elites of the social democratic welfare state, neo-liberalism has been forced to shed its faux populism and take a stand against the very people they have claimed to speak for over the last thirty years. Liberalism: in the Classical Tradition (New York: Foundation of Economic Education, 1985) p. 21. Neo-liberals disagree on the extent of the minimal state and disagree about the degree to which the market can or cannot provide services through a process of mutual ‘free exchange’. The sliding spectrum runs from the likes of Hayek and Friedman, who allow a greater role for the state based on utilitarian grounds, to the libertarian and ‘anarcho-capitalist’ positions of Nozick, Rothbard and Narveson rooted in a natural rights tradition of classical liberalism. For the classic account of the authoritarian tendencies of neo-liberalism, see Andrew Gamble, The Free Market and the Strong State: the Politics of Thatcherism (Macmillan Education, 1988). For a more recent history of the neo-liberal state, see David Harvey, A Brief History of Neoliberalism (Oxford University Press, 2005). See also Alfredo Saad-Filho and Debora Johnson, eds., Neo-liberalism: a critical reader (Pluto Press, 2003) and Dumenil and Levy, Capital Resurgent (Harvard University Press 2004). For a comprehensive discussion of the philosophy underpinning the neo-liberal state, see Raymond Plant, The Neo-Liberal State (Oxford University Press, 2010). Isaiah Berlin, Two Concepts of Liberty (Cambridge University Press, 1958). See also Benjamin Constant, ‘The Liberty of the Ancients Compared with that of the Moderns,’ in Benjamin Constant, Political Writings, Biancamaria, ed., (Cambridge University Press, 1988). Friedrich von Hayek, The Constitution of Liberty (Routledge, 1960). In the British context, conservative philosopher Michael Oakeshott would refer to these different conceptions of the state as the nomocratic versus the telocratic state—the state of laws versus the state of ends respectively. See Plant (2010). Through this dichotomy, Hayek distinguishes the Anglo-American constitutional tradition from the Continental administrative tradition, clearly preferring the former over the latter. For a recent survey of modern European thought from this perspective, see Noel O’Sullivan, European Political Thought Since 1945 (Palgrave, 2004). O’Sullivan identifies a number of pan-European political problems that define the European political agenda of the post-War period. Two of them – the limited state and the problem of moral foundations and the welfare state and growing executive power – are framed within the dichotomy articulated by Hayek. O’Sullivan, however, appears to be more influenced by Oakeshott; on this issue, however, Oakeshott and Hayek overlap. For this point, see Plant (2010). For Hayek’s support for Pinochet, see Greg Grandin, Empire’s Workshop: Latin America, The United States, and the Rise of the New Imperialism (Henry Holt & Co., 2006). Ludwig von Mises, cited in Rachel S. Turner, Neoliberal Ideology: History, Concepts and Policies, (University of Edinburgh Press, 2008) p. 5. The same cannot be said about the proponents of pluralism like Robert Dahl and Charles Lindblom, both of whom came to acknowledge the threat that corporate and economic power posed to a pluralist democracy. Robert Nozick, State, Anarchy and Utopia, Basic Books, 1974. For the influence of libertarianism on neo-liberal thought, see Plant (2010). However, the popular support for neo-liberalism should not be overstated. In the 1979 UK general election, the Conservative Party of Margaret Thatcher won only 43.9% of the popular vote. Given the economic turmoil of the 1970s, and the failures of the Labour governments of Wilson and Callaghan to resolve the crisis, this is by no means a landslide. In fact, Labour still managed to garner 36.9% of the vote. Under Thatcher, the Conservatives were never able to break the 44% threshold. Thatcher’s hold on power is also attributable to other contingent factors, such as the fragmentation of the left during the 1983 and 1987 elections. It is a testament to the disproportionality of the SMP electoral system that, despite a slight drop in popular support in the 1983 election, the Tories gained 58 seats. See Colin Leys, Politics in Britain, 2/e (Verso, 1989). It is symptomatic of the ideological nature of neo-liberal thought, however, that the populist rhetoric of neo-liberalism masked elitist and technocratic tendencies. As is evident in the work of Hayek and Berlin, individual liberty is compatible with non-democratic forms of political authority. For Hayek and Buchanan at least, elitism could be checked by constitutionalism in the absence of democratic processes of accountability. This, however, does not address the fact that elite forms of power are perfectly compatible with the existence of constitutionalism and the rule of law. J. S. Mill, Considerations on Representative Government. Wolfgang Streeck, ‘The Crises of Democratic Capitalism,’ New Left Review 71 (2011). An irony here, is that neo-liberals increasingly appear to be holding up the prospects of future aggregate ‘growth’ in a way that previous political theorists referred to ‘the common good’. 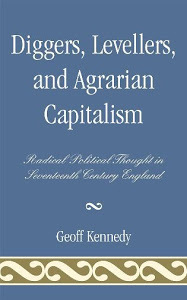 Having dismissed notions of the ‘common good’ as a vaguely defined metaphysical fetish of rationalist philosophy, ‘stability’ over democracy in the interests of future ‘growth’.